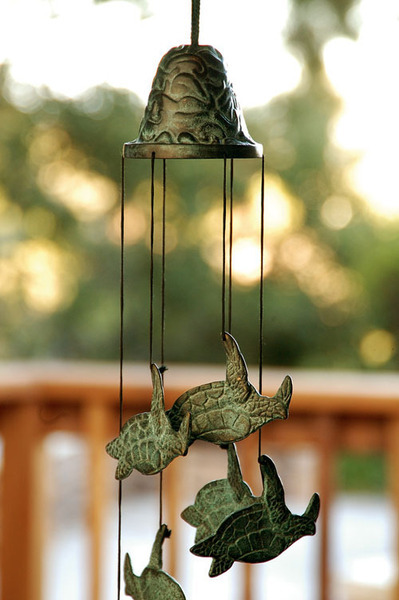 This stunning Sea Turtle Wind Chime is made of the highest quality brass and is destined to last for years to come. The exquisite design and joyous sounds will be enjoyed by everyone in your home or garden. Because every piece is finished individually by hand, no two pieces are ever exactly alike. Makes a great gift item for your family, friends, loved ones, or even yourself.